Last week, Internal Revenue Service (IRS) officials admitted that they targeted conservative groups for extra scrutiny in 2012. Specifically, the IRS flagged groups that had “tea party” or “patriot” in their application for tax-exempt status. These groups were subjected to intense scrutiny which many said hindered their activities. They were asked to fill out forms that requested information about their donors. Additionally, they had to submit information about group members' political activities, including details of their postings on social networking websites. 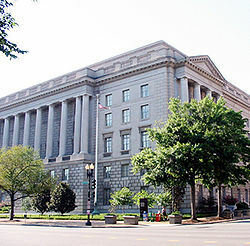 As more information is becoming public from an internal investigation, it seems that the IRS targeted a wide range of groups, including those whose mission mentions government spending, debt, or making America a better place to live. Lerner, who oversees tax-exempt groups at the IRS, acknowledged this practice and apologized for it, calling it, “inappropriate." That might be the biggest understatement of the year. Targeting American citizens based on their political beliefs is not merely inappropriate—it’s unconstitutional. The IRS’s actions are a fundamental violation of our first amendment right to free speech, and they will not be tolerated. I have a lot of questions about this case. How many groups were targeted? Is that number broader than the IRS first admitted? Who knew about this practice in the IRS, and why was it allowed? How can we prevent this kind of government harassment in the future? I’m pleased that my colleagues on the Committee on Oversight and the Committee on Ways and Means have pledged to investigate this abuse of power. Those investigations should provide us with some answers. Bullying and harassing groups because of their political affiliations is completely contrary to our nation’s founding principles. An apology is not sufficient to address this issue—Americans deserve to be sure it will never happen again.